This course covers the syllabus required by the STCW95 Table AVI/1-1 and is part of the mandatory training for seafarers. 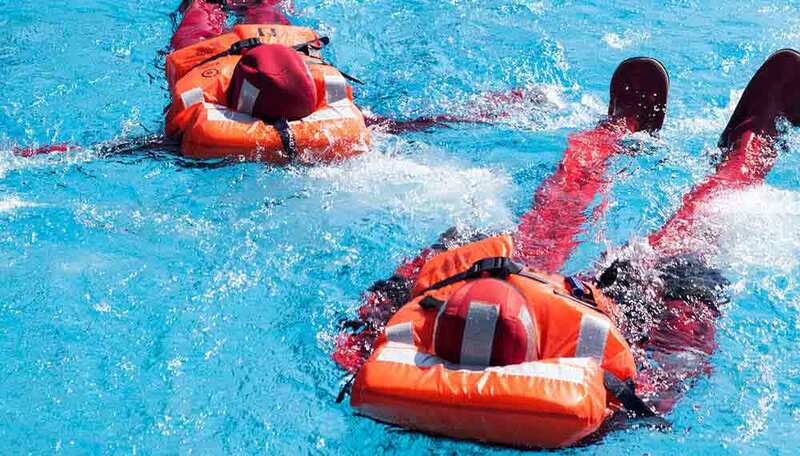 It provides students with the knowledge and practical skills required in the event of an emergency at sea along with the necessary steps to take in order to ensure survival. We provide survival immersion suits for each of our students to wear during this course in order to emulate a real-life situation. We also have our life raft professionally packed so students will understand how to deploy the life raft from its canister. Please note this is quite a physically demanding course, therefore, any medical condition you have must be brought to our attention prior to booking.